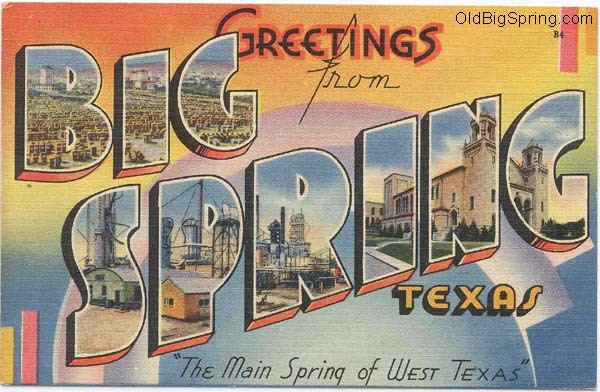 This site houses a collection of items from and relating to Big Spring(s), Texas history. A collection that was begun by my mother, Marilyn Weaver, who for many years ran an Antique Store on the Lamesa Highway just north of town. After she passed away, I decided to both expand the collection as well as create this site to share the collection with other people interested in Big Spring(s) colorful history. In viewing the collection you should see glimpses of the town that are still recognizeable today, but you will also find views that very few living souls remember seeing first hand.